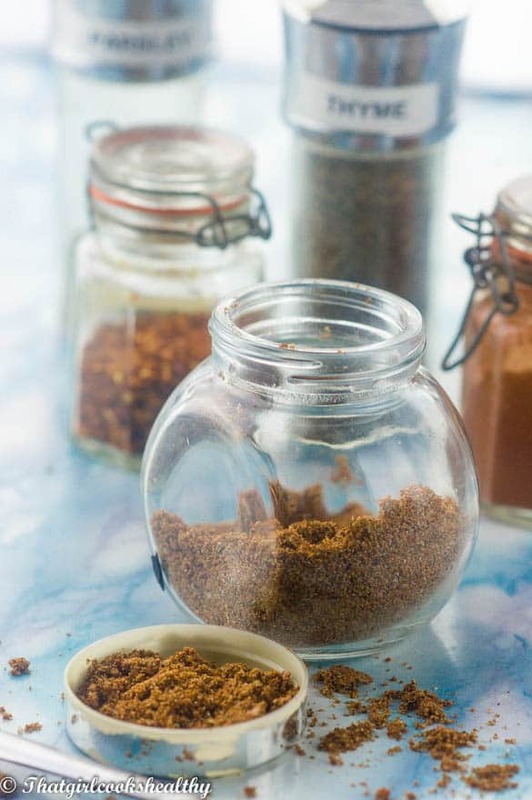 Learn how to make this quick and easy all purpose seasoning recipe in a matter of minutes. 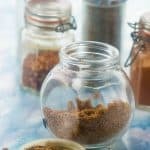 I’m so happy to share this all purpose seasoning recipe with my lovely readers and do you want to know why I’m thrilled? Well simply because this recipe is a staple if you’re a true die hard foodie like moi. I cannot believe it has taken me so long to finally add this recipe to the blog. Like so many people I’m not a huge fan of purchasing pre-blended seasoning, reason being because the vast majority of seasoning blends tend to include E numbers, or some type of additive and/preservative which most of the time I have no clue what the ingredient is or how to pronounce it. A relative of mine was kind enough to buy me a spice this really cool spice grinder a few years ago. Since I have had this grinder I pretty much use it to make a plethora of spice blends, wet rubs and powdered sugar just to name a few so my grinder get used bi weekly at the minimum. 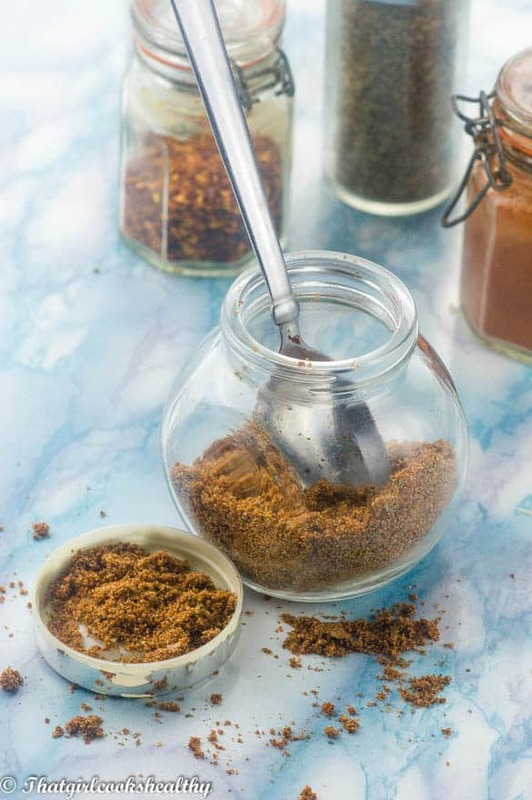 Anyway, let’s talk more about the recipe post, this all purpose seasoning was made using some of the most popular herbs and spices that you’ll find in your pantry. 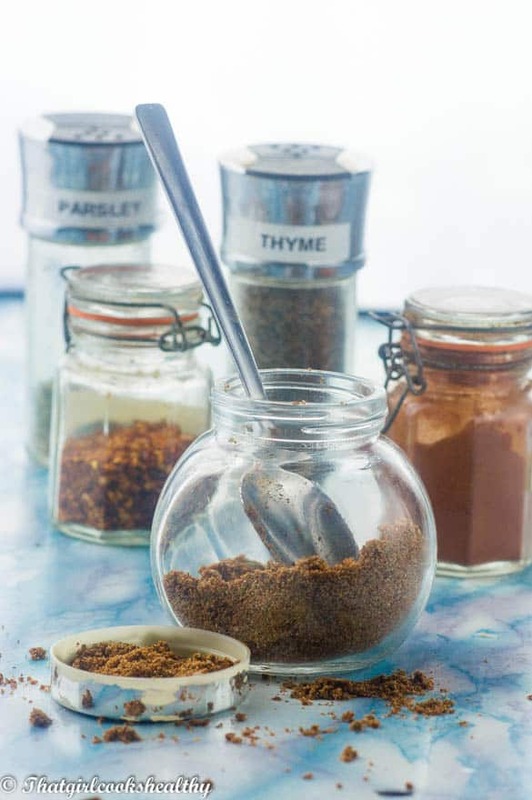 You’ll probably be familiar with the taste of each ingredient as you’ve most likely have used them individually at some point during your culinary adventure – himalayan pink salt, paprika, garlic, parsley, black pepper, onion powder, thyme, chilli and coconut sugar. I chose to include coconut sugar to balance things out, don’t worry it won’t have any impact on the final product and if you’re not comfortable with using any sugar, simply omit or reduce the amount but I really think the sugar counterbalances the heat from the chilli and saltiness from the pink salt. What can I use all purpose seasoning for? As it is an all purpose seasoning blend it will make a great diverse flavour enhancer for vegetable, meat, poultry, dips, salads, sauce you name it and you can include a teaspoon or tablespoon of this multi purpose seasoning. It all depends on what you’re cooking but the list is endless. For best results, use a spice/coffee to mill the ingredients thoroughly together. 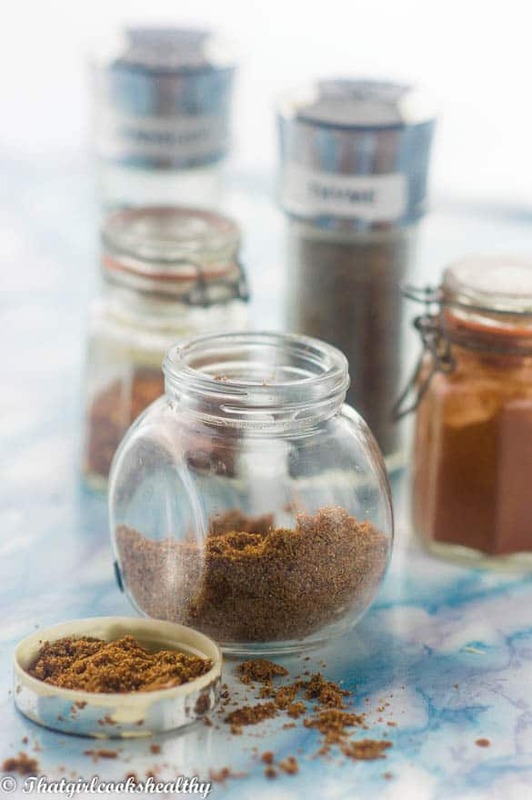 Place all of the herbs and spices into a coffe/spice grinder and mill everything into a fine consistency. Store the seasoning in a glass jar in a dry place. Eager to try this spice blend out! Unfortunately I don’t have a spice grinder though, but most of my spices are in ground form anyway, so I’ll just try mixing them together. I know it’s an all-purpose blend, but do you have any recommendations for meals/recipes that it pairs particularly well with? Hi Jolie. I add the spice blend to Caribbean style stewed mackeral, Jamaican brown stew chicken, Haitian stew chicken, hot tuna salad.